Jennifer A. Mills is an associate at Gray, Rust, St. Amand, Moffett & Brieske LLP. Her practice focuses on premises liability, products liability, and insurance defense litigation matters. 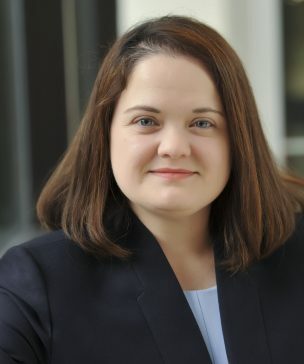 Prior to joining Gray Rust, Jennifer was an associate at a well-respected Atlanta law firm where her practice included premises liability, products liability, transportation and professional malpractice. Jennifer received her Juris Doctor from Emory University School of Law, where she was a member of the Bankruptcy Developments law journal. She received her undergraduate degree from Purdue University. Jennifer has been admitted to the State Bar of Georgia since 2005. She has successfully argued on behalf of her clients before the Georgia Court of Appeals. She is a member of the Georgia Supreme Court and the United States District Court for the Northern District of Georgia and the United States District Court for the Middle District of Georgia. She represented clients in courts of numerous other states. In her spare time, Jennifer enjoys studying American Sign Language at the University of Georgia Gwinnett campus and the Atlanta Area School for the Deaf.